Traversing over the 9000 hectares of supreme African bushveld, the Karongwe Reserve is home to the Big Five (Lion, Leopard, Buffalo, Rhino and Elephant) as well as a wealth of other creatures. Our open vehicle game drives are perfect for game viewing. Enjoy a sundowner while the sun sets over the magnificent Drakensberg Mountains. The magnificent game viewing makes for perfect photographic opportunities; enjoy the view of the Lowveld from a “kopje” amid the lush vegetation, huge variety of trees and over 365 different bird species. Game drives are conducted with our qualified game rangers and Shangaan trackers – who will share their vast experience of the African Bush and a chance to view Cheetah on foot. 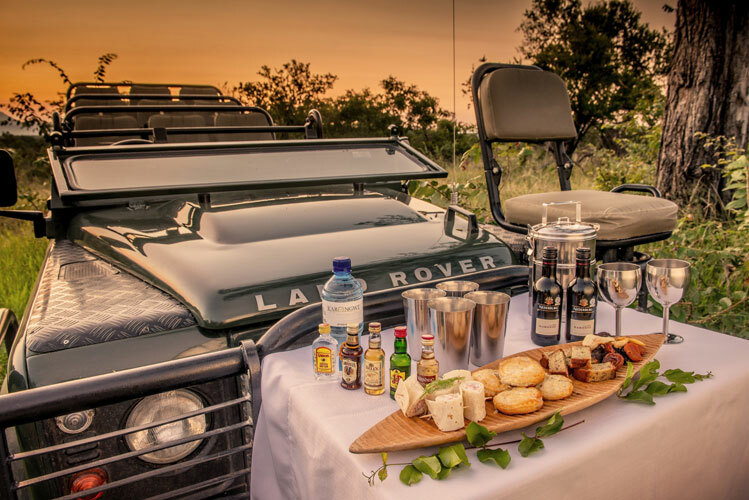 Game drives are conducted in open safari vehicles with qualified and knowledgeable guides or go on foot for a bush walks and get close to the little 5 and feel the true African bush. 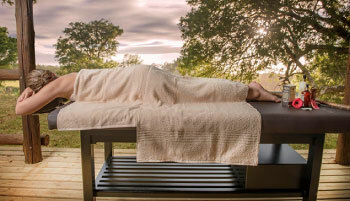 The perfect venue for leaving the constraints of the office behind, against the backdrop of the African bush. Gain a deeper understanding of the dangers that our wildlife faces today with a visit to the Wildlife Rehabilitation Centre at Moholoholo. Dedicated to the conservation of endangered species and the rehabilitation of injured and poisoned wildlife, this center also runs a range of successful breeding programs. Here, you may see a range of baby animals as well as lion, leopard, serval, lynx, honey badgers, eagles, vultures, wild dogs and any other creatures that are recuperating there. 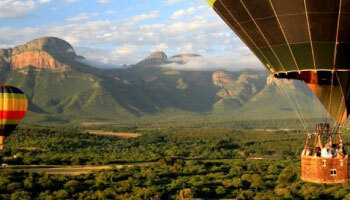 Float over the stunning Sabie River Valley, near Hazyview, in a hot air balloon. As you glide over hills and valleys along the course of the legendary Sabie River, you will be treated to a breathtaking view of the lush scenery below including riverine forest, indigenous bush and fruit orchards. The photo opportunities are endless! Explore one of South Africa’s most picturesque routes with an experienced guide as you take a tour of the area’s many natural wonders. You will see The Pinnacle Rock towering 30m above the forest as well as God’s Window, one of South Africa’s most famous vantage points (on clear days you can see as far as Mozambique). Take in the Blyde River Canyon and the Three Rondawels, massive spirals of dolomite that rise from the far wall of the canyon. Other highlights include the spectacular Lisbon Falls and unusual rock formations of Bourke’s Luck Potholes. Lunch is enjoyed halfway through the journey (own account) and there’s a chance to explore the colourful craft markets en-route. The Pinnacle Rock is a breathtaking sight – this freestanding quartzite buttress towers 30m above a lush indigenous woodland, close to the quaint forestry town of Graskop. God’s Window is a vantage point set in the Blyde River Canyon Nature Reserve that offers panoramic views over the lush Lowveld. 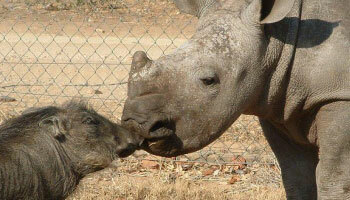 On clear days, you can see as far as the Kruger Park and Mozambique. The spectacular Lisbon Falls were named by the Portuguese settlers who came to this area in the late 1800s after gold was discovered at nearby Barbeton and Pilgrim's Rest. This lush area offers unforgettable views and a vast array of birds. These large, cylindrical potholes have been created by the churning whirlpools that occur when the Treur River plunges into the Blyde River Canyon. They are named after Tom Bourke, a miner who correctly predicted that the area would yield large deposits of gold, but never struck it rich as the gold was discovered just south of his claim. 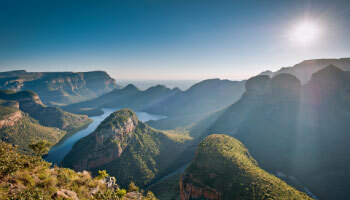 Blyde River Canyon is one of the largest canyons on the planet and the second largest in Africa. Renowned for its red sandstone cliffs and lush subtropical foliage, this natural marvel stretches for 26km and is 762m deep on average. The Three Rondavels, also known as the Three Sisters, are spectacular geological formations that stand 700m tall above the surrounding landscape. These eye-catching peaks are located along Mpumalanga's Panorama Route and are named after the rondavel, a traditional beehive-shaped hut.